The Forex industry has evolved fast in recent years, as online trading of currencies and commodities continue to grow in popularity. The supervision of regulated Forex brokers and the role of compliance have also advanced in parallel with this growth. That higher level of accountability has led to far better transparency within the market. Regarding regulatory changes, these are encouraging development for the industry. 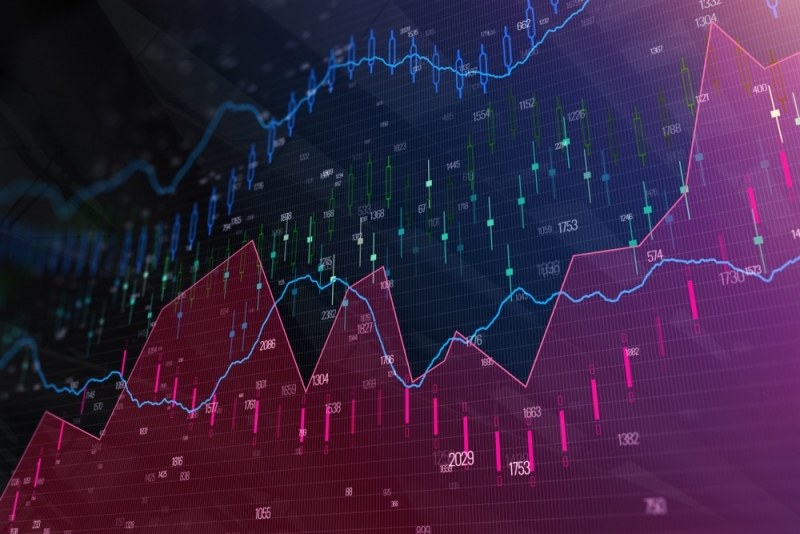 Accepting the latest technological developments allow brokers give their clients state of the art trading platforms and sophisticated tools, providing them with a rapid, well-organized and continually improving trading experience. To attain GDPR compliance and to avoid the enormous punishments of non-compliance, financial institutions need to establish a clear understanding of the personal data in their possession and its purpose. They must set up processes to destroy data across the organization when the use of the data has expired. FRTB launches stringent rules for the treatment of market risk and attends to some of the weaknesses of the existing framework. The scope of this regulation is inclusive and covers credit, rates, FX, commodity asset classes and equity. The increased easiness of entry into the market is principally attributable to the tech advancements, which have trimmed down trading costs, increased transactions speed, and improved transparency. Thus, electronic trading activity in the foreign exchange market has played a vital role. The challenges facing the industry relate to some of the advantages earlier mentioned namely technology, increased regulation, transparency, and competition. While new technology has helped ease entry into the market, the capital investment required for the long term has also doubled. To deal with these challenges, several brokers are in the hunt for expansion into new markets like China and the Middle East. Others are offering alternative services to get new customers. The two strategies pose new risks and efforts. Partnerships are fundamental to any broker business since they help to increase exposure. 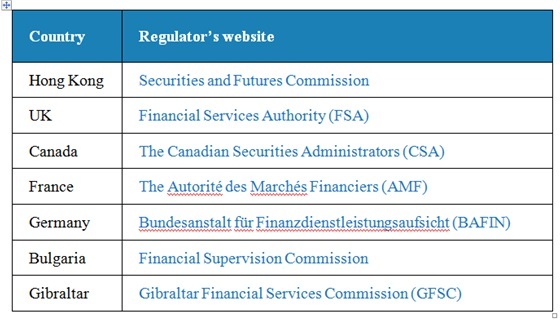 In the following table, we gathered all major Regulatory Authorities across the globe. We included both the regulator homepage and the page where a customer can file a grievance against the Forex company. Strict regulatory authorities supervise the Forex and investment industry in local jurisdictions across the world. 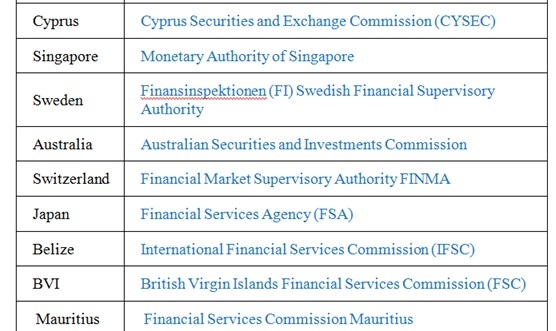 In each country, there are governmental regulatory agencies established to run all activities in the Forex industry. All investment banks, signal sellers, and Forex brokers must conform to the rules and regulations laid down by the regulatory authority in their jurisdiction. The regulatory authorities have the right to subject licensed brokers to various audits, evaluations, and reviews to ensure that they meet industry values. There could also be a minimum capital requirement where Forex brokers must have adequate funds at their disposal to execute Forex contracts for clients and to return clients’ funds immediately in case of liquidation. The Forex regulations imposed by regulatory bodies vary from country to country. 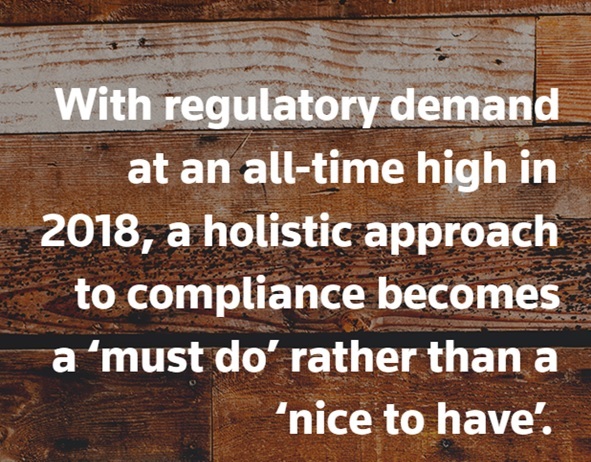 What are the most noteworthy regulation updates in 2017 and what can we expect in 2018? The essential aspects of the MiFID II are a brand new level of transparency, check out ESMA. It creates a single system of monitoring the market by local regulators, the revelation of information to clients before and after trading, momentous changes in requirements for the client’s estimation necessary to give them more suitable services by their profiles. The Forex/CFD’s Forecast For 2018 Regarding Growth, Regulation, And Market Size? The first development in the Forex/CFD business for the next several years is going to be the merger of market players amid the rising legislative pressure. In general, the Forex market will revolutionize into a prominent financial institute with corresponding requirements and guarantees. From now on, further changes are expected to happen with more rigorous oversight from the first global jurisdictions. Nonetheless, Forex continues to be a money-spinning marketplace.